In the pet service industry, particularly when it comes to dog groomers, sitters and trainers, tipping is still unclear to most dog owners. It's a grey area where most will have to ask their friends and family what is it that they usually do. Do you tip a dog groomer or a dog trainer, or will this person be offended? What about veterinarians, do we have to tip them? After some research, below is what the general consensus seems to be among dog service providers and pet owners alike. Note that for most dog services (other than dog grooming), professionals do not expect a tip but majority of dog owners tip them anyway, thereby making it a standard. How Much to Tip for Dog Services? Here are the five most popular dog services that ever pet owner is likely to use at one point or another, reasons for tipping people (if needed) providing these doggy services and how much is usually acceptable. How much to tip a dog groomer? They don’t get the full fee as they are rarely the owners of the store or salon. They often go the extra mile by performing other free-of-charge services. They provided advice about your pet’s health and appearance. They pay close attention to all the details and your requests. It helps you to develop a good long-term relationship with your pet’s groomer. Your pet smells bad, is extra dirty or hasn’t been groomed for a long time. MORE: Do You Tip Dog Groomers? Why and How Much? How much to tip dog walkers? They often perform extra services while walking the dogs. They may teach your dog different tricks and commands. They may train your dog to walk on a leash without pulling. You normally arrive later than expected. Your dog is extremely lazy, difficult to encourage to walk. Your dog is extremely difficult to handle or is aggressive. Dog walker spent extra time or put more effort because of your fault. Dog walker gives your dog medicine (your request) or provides special care. Dog walker always answers your urgent calls. Dog walker is working during the holiday season. Dog walker takes your dog to the groomer or veterinarian. How much to tip dog trainers? Dog trainers may go above and beyond your expectations while training your dog. Dog trainers may provide you advice and tricks for how to train your dog yourself. Dog trainers may accomplish everything faster than you expected. Your dog may be very difficult to train or is very aggressive. Training session is taking place at your house (upon your request). If it was a private dog training session that isn’t usually offered. If a dog trainer provided additional equipment or more training than expected. If your dog has bitten the trainer, or otherwise was complicated the matters. How much to tip veterinarians? They often own the practice. How much to tip dog sitters? Dog sitters often call you to report on your dog’s status a few times. 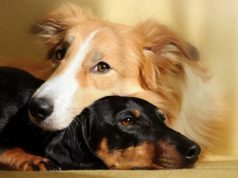 Dog sitters usually perform extra services while caring for the dog. Dog sitters often try hard to make sure your dog is comfortable and entertained. Dog sitter groomed and washed your dog. Your dog had diarrhea or any other major problems that inconvenienced the sitter. Your dog has bitten the sitter. Dog sitter responded to your urgent call. It was an unusually long pet sitting period.